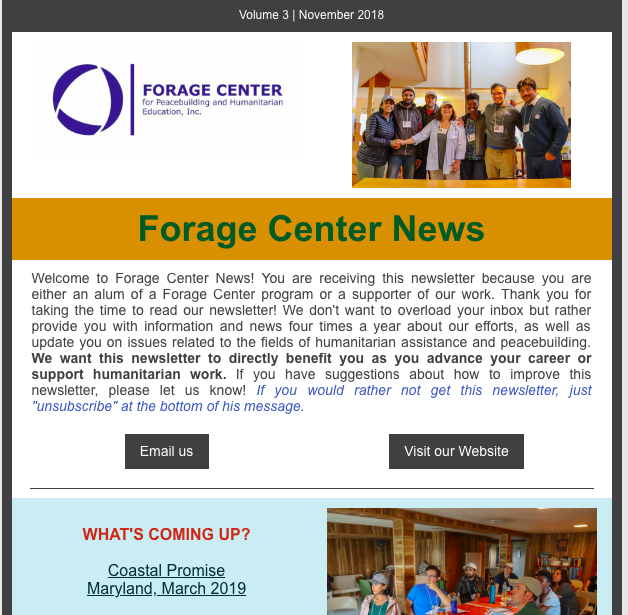 The November 2018 newsletter from the Forage Center is out! It includes an interview of Ninette Irabaruta who attended the September 2018 exercise and is from Burundi. Click here or below to read the entire newsletter.